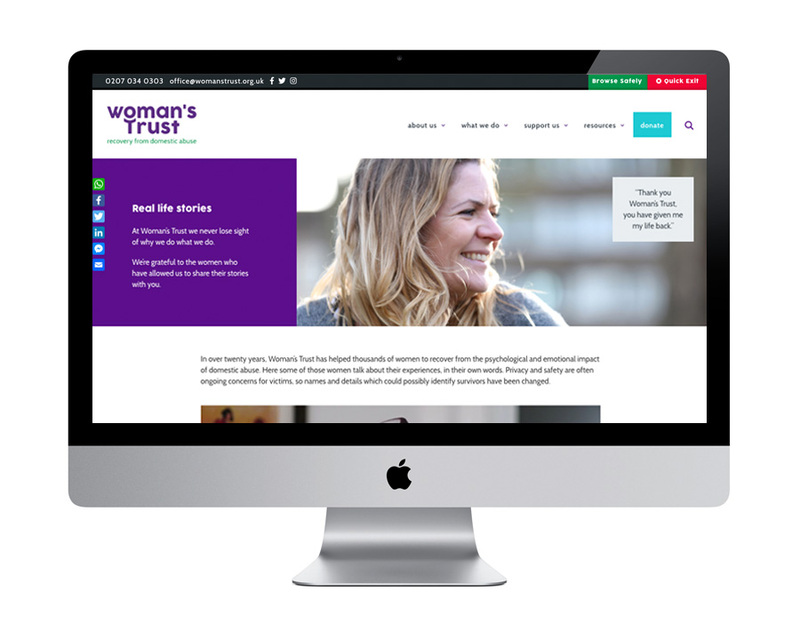 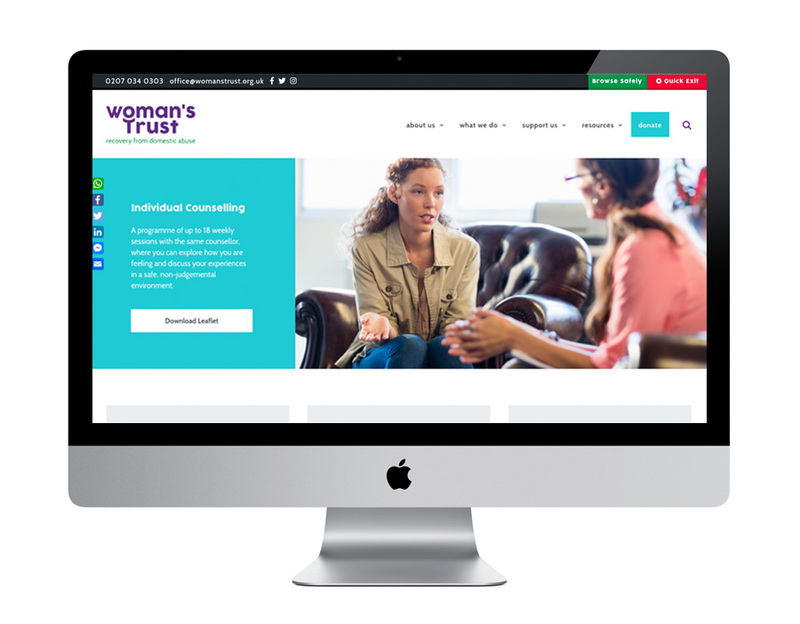 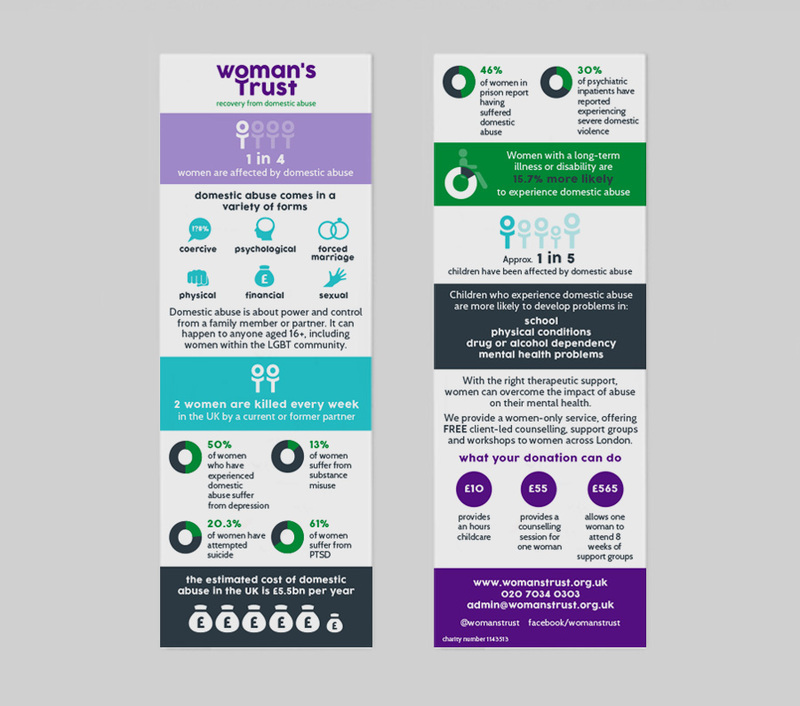 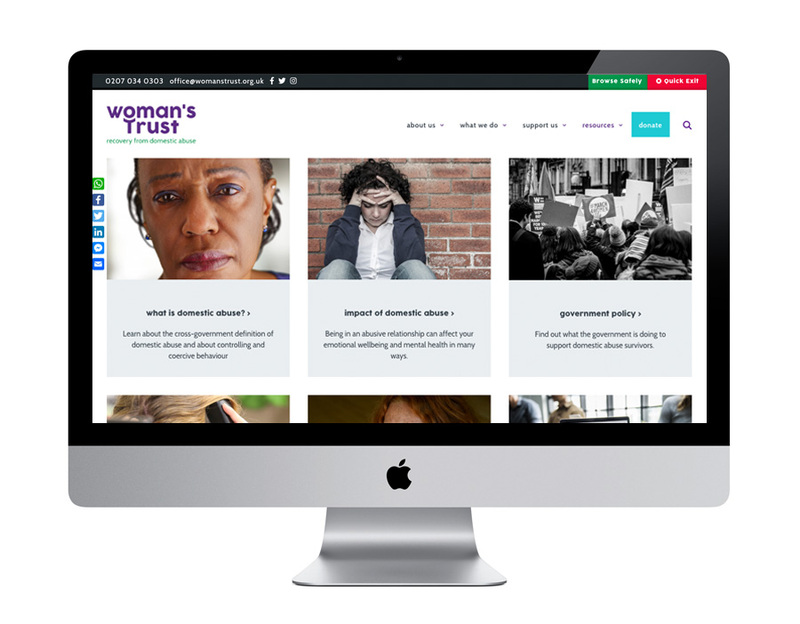 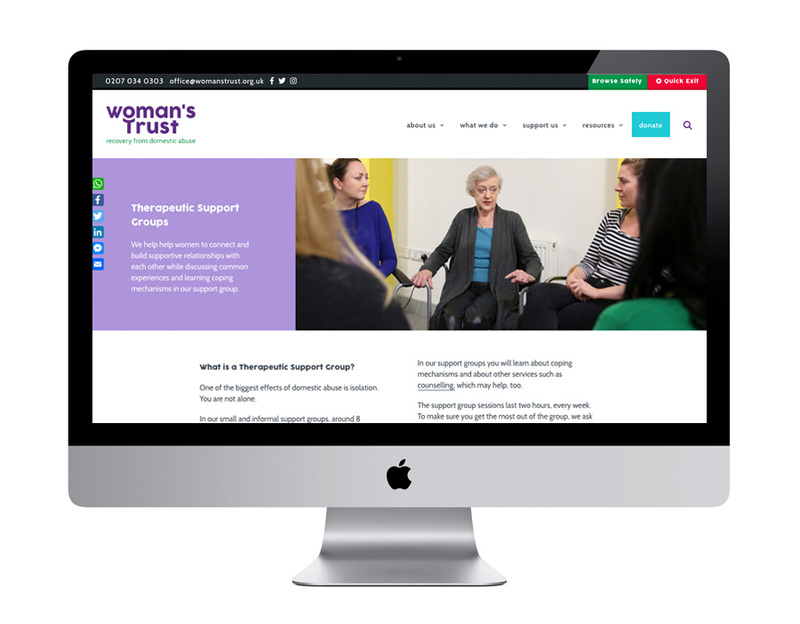 Woman’s Trust is a London-based charity that provides free counselling and therapy for female survivors of domestic violence, emotional abuse, sexual abuse, and other forms of domestic abuse. 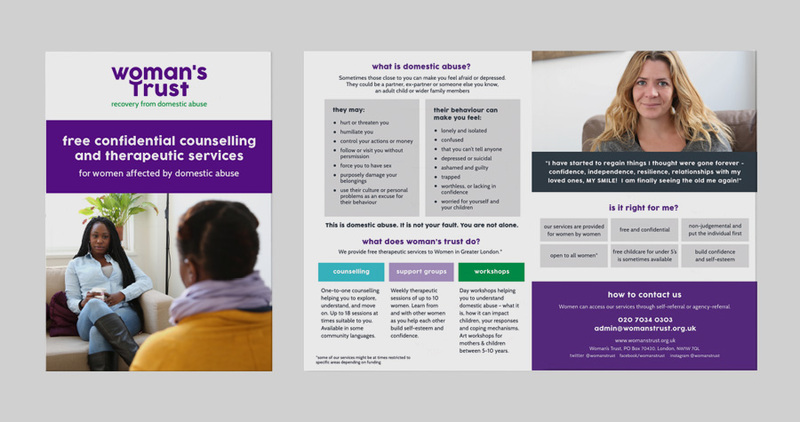 Me And You Create designed their full rebrand to reflect their gentle, one-to-one approach to help women recover from trauma. 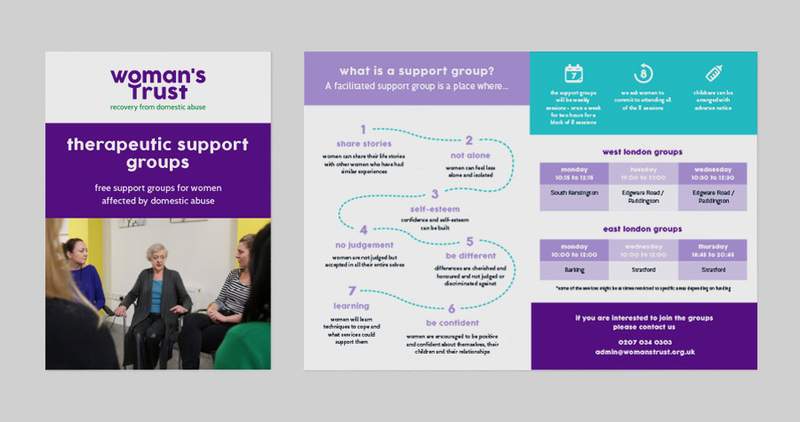 The typeface is approachable with soft edges allowing the letter ‘o’ to nestle easily in the comforting arc of the ‘t’ below.